Veteran of HQ Battery 1/83rd Artillery 1968-1969. Joseph Dolby Babb, born April 16, 1939, in Columbus, Ohio, passed away on September 6, 2018. He was a beloved husband, father, cardiologist, and a true icon in his field. Upon graduating Glenbard High School in Glyn Ellen, IL, Dr. Babb attended Kenyon College, where he was a Fulbright Scholar. He then attended Johns Hopkins Medical School, and upon graduation, he interned and did his residency at Massachusetts General Hospital / Harvard Medical School. He was a Captain in the Army Medical Corps and served with the U.S. Army 83rd Artillery in the Vietnam War and at Walter Reed Hospital. After his discharge from the military, Dr. Babb completed his fellowship at the Massachusetts General Hospital, in interventional cardiology. Dr. Babb then joined the Penn State University/ Hershey Medical Center as an Assistant Professor of Medicine and a cardiologist. While at Penn State he had the opportunity to study in Zurich with Dr. Andreas Gruentzig, a pioneer in angioplasty. Dr. Babb performed the first angioplasty at the Hershey Medical Center. He moved to Connecticut in 1980 as Chief of Cardiology at Bridgeport Hospital where he performed the first angioplasty in the state of Connecticut. For the past 27 years, he had worked at the East Carolina University Brody School of Medicine in numerous roles, including Professor of Medicine and Cardiology, Director of Interventional Cardiology Fellowship Program, Director of Catheterization Laboratories. Professor Emeritus and Distinguish Faculty He established The Heart Failure Clinic and most recently, The Peer Review Process. 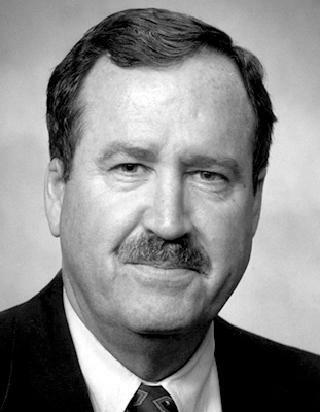 Dr. Babb was a president of the Society for Cardiovascular Angiography and Intervention (SCAI), chaired numerous committees within SCAI, and represented the group at meetings with federal policy makers and at international medical societies throughout the world. In addition he was active in the American College of Cardiology where he served as Governor, twice, once for the state of Connecticut and then North Carolina. He was also very active in the North Carolina Chapter of ACC. His career in medicine spanned five decades and included numerous awards, including recently the Distinguished Service Award, Master of SCAI, and most recently Dr. Babb was named Patient Preferred Cardiologist for the state of North Carolina on 9/5/2018. Dr. Babb was preceded in death by his father, Joseph Abner Babb, and his mother, Dorothea Babb. He is survived by his wife Margo Babb, daughter Elizabeth Babb, son Peter Babb/Kristi, his stepsons John and Matthew Tregenza/Sara, and seven grandchildren, Jack Tregenza, Charlie Tregenza, Henry Tregenza, Madison Tregenza, Stuart Tregenza, William Tregenza and James Tregenza. More on Dr. Babb's career can be found here.